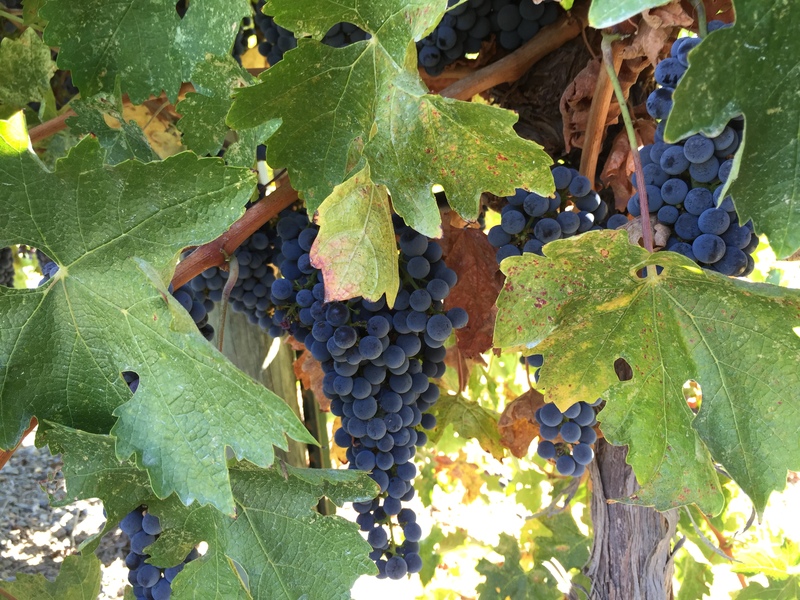 It is a few week’s before picking the Cabernet Sauvignon. The basal leaves are starting to drop; leaving the fruit exposed to the softer sun angle of the September rays. This is Mother Nature’s way of completing the final cycle before picking. 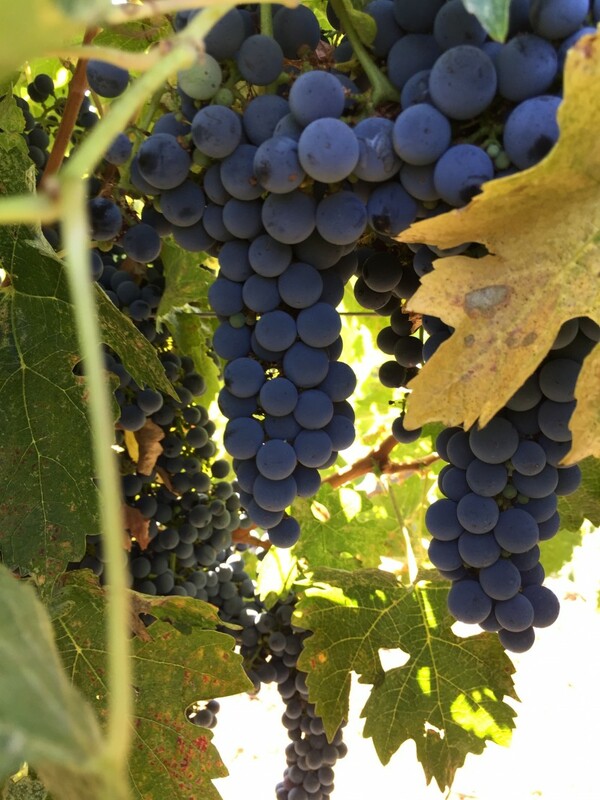 The sun on the clusters helps promote better skin development in terms of color and ripe tannin’s. If the fruit is exposed too early in the summer the clusters can suffer from sun damage. But in the Fall, when the angle is lower, the sun coaxes the last bit of energy from the vine to protect the clusters from the suns rays. 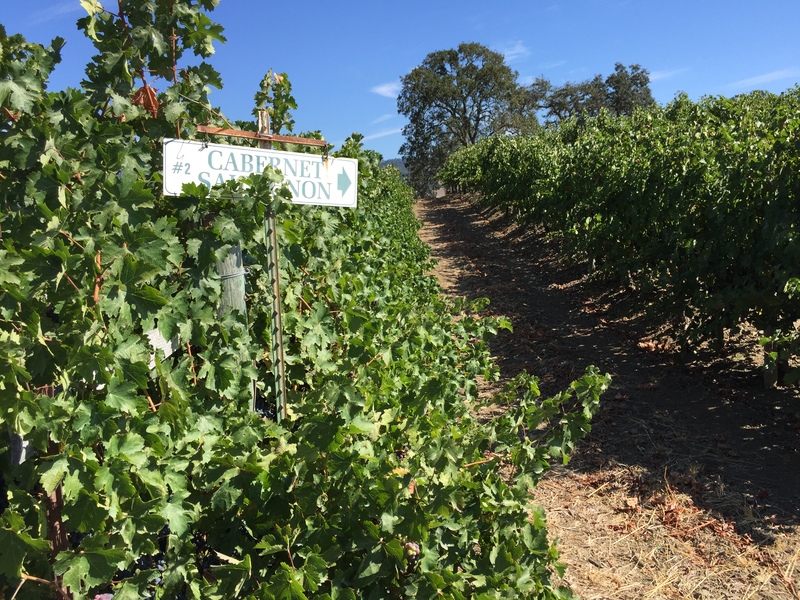 This is one of the most important stages in the development of making a great Cabernet. You can almost taste the warm juice within each berry as they lie there in the sun. Welcome to the most beautiful time of the year. Harvest Time!! !